Lepidoptera is an order of insects that includes moths and butterflies (both called lepidopterans). 180,000 species of Lepidoptera are described, in 126 families and 46 superfamilies. others will cause serious damage even death to plants. Lepidopteran species are characterized by more than three derived features, some of the most apparent being the scales covering their bodies and wings, and a proboscis. The scales are modified, flattened “hairs”, and give butterflies and moths their extraordinary variety of colors and patterns. Like most other insects, butterflies and moths are holometabolous, meaning they undergo complete metamorphosis. 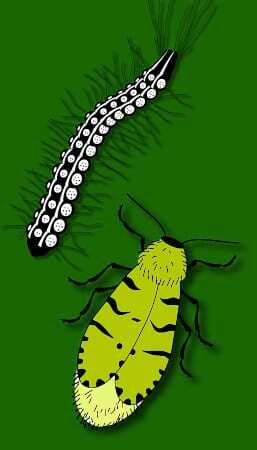 Mating and the laying of eggs are carried out by adults, normally near or on host plants for the larvae. The larvae are commonly called caterpillars, and are completely different from their adult moth or butterfly forms, having a cylindrical body with a well-developed head, mandible mouth parts, and from none to 11 (usually eight) pairs of prolegs. As they grow, these larvae change in appearance, going through a series of stages called instars. 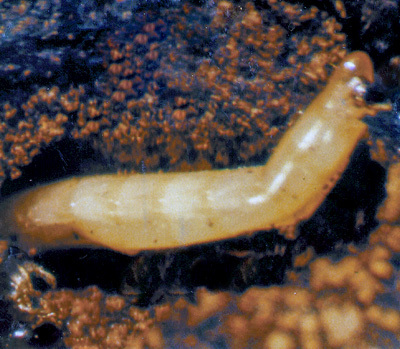 Once fully matured, the larva develops into a pupa, referred to as a chrysalis in the case of butterflies and a cocoon in the case of moths. A few butterflies and many moth species spin a silk case or cocoon prior to pupating, while others do not, instead going underground.